HCM CITY (VNS) — Talented South Korean pianist Eva Eun Young Joo and acclaimed violinist Hoang Tuan Cuong will be featured at a concert with the HCM City Ballet Symphony Orchestra and Opera (HBSO) at the city's Opera House on Friday. 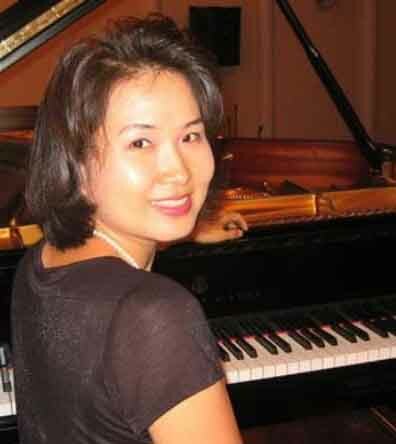 Eva will perform Tchaikovsky's Piano Concerto No 1 in B-flat minor, op. 23, and Cuong plays the Henryk Wieniawski Violin Concerto No 1 in F-sharp minor, op. 14. Cuong is a member of Germany's Philharmonic Hamburg. The Tchaikovsky piano concerto, composed between 1874 and 1879, is one of the most popular of the Russian's compositions and among the best known of all piano concertos. The work has been performed by many legendary pianists, including Hans von Bulow, Nikolay Rubinstein and Vasily Sapelnikov. The Wieniawski concerto "requires extremely complicated technique" and "is a challenge to even the most talented artists", according to a press release from HBSO. The concert will also feature Do Hong Quan's Nocturne Tieng Vong (Echo from the Past) performed by the HBSO Symphony Orchestra. The concert will be conducted by Meritorious Artist Tran Vuong Thach.